Features bungee ID loop on left shoulder, heat transfer logo on bottom left front. For storage, there is 1 upper chest pocket on left with pen slots. 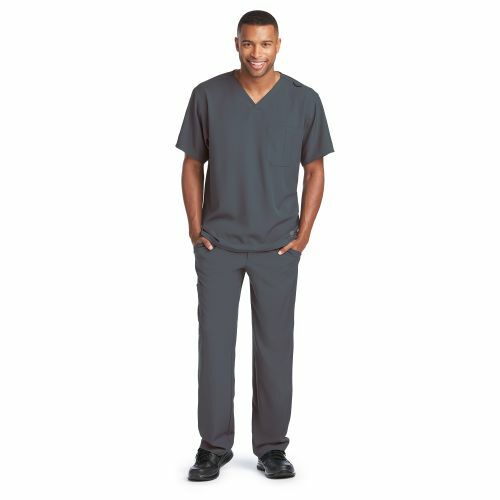 For added style and an improved fit, this scrub top includes a side panel inset, side seaming details, and a back yoke. Fabric 54/40/6 poly/recycled poly/spandex. Approx. length for large is 30 1/2". The fabric content is 54/40/6 poly/recycled poly/spandex. Approx. length for large is 30 1/2".